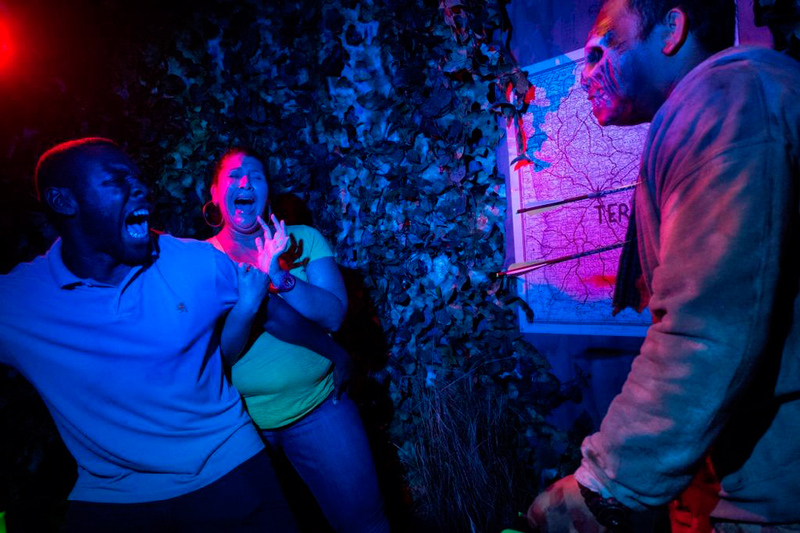 If you're hearing a shrill series of screams coming from the greater Orlando area, that can only mean that Universal Orlando's Halloween Horror Nights is currently scaring the bejeezus out of park guests once again. 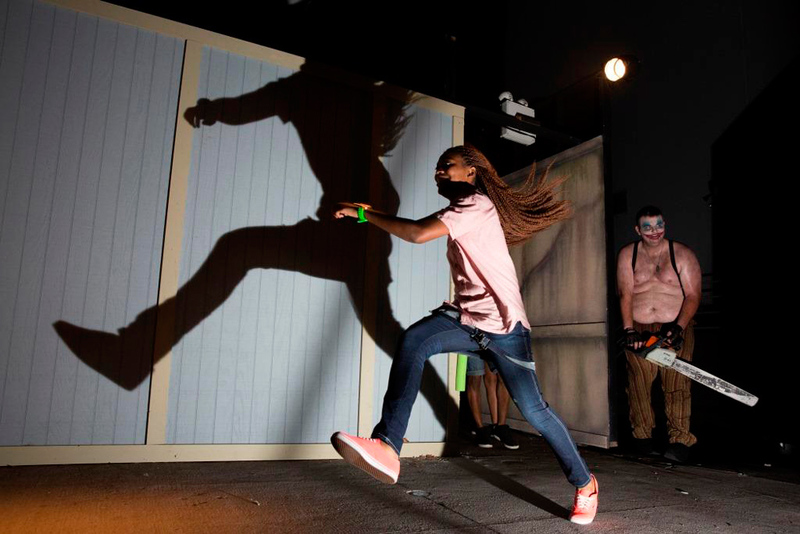 Running through Nov. 1, this year's installment marks the 24th iteration of the annual Halloween tradition, and Universal is bringing the scary with a slew of new terrifying creatures. Silent serial killer Michael Myers (no, not the Austin Powers one; the one from "Halloween") will stalk the park, as will the groaning shambolic terrors that terrorize Rick Grimes and company on "The Walking Dead." 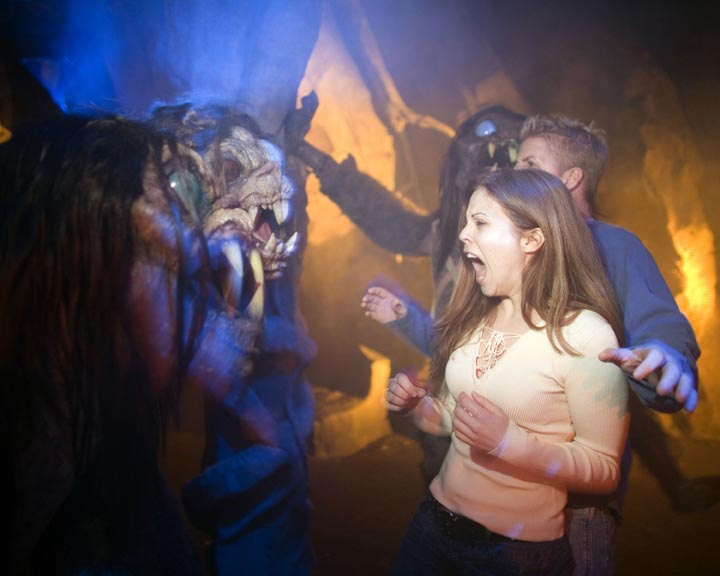 There are also Aliens, Predators, Dracula, the masked crazies of "The Purge" and a slew of assorted ghouls to help coax out a blood-curdling scream from even the most jaded horror fans. 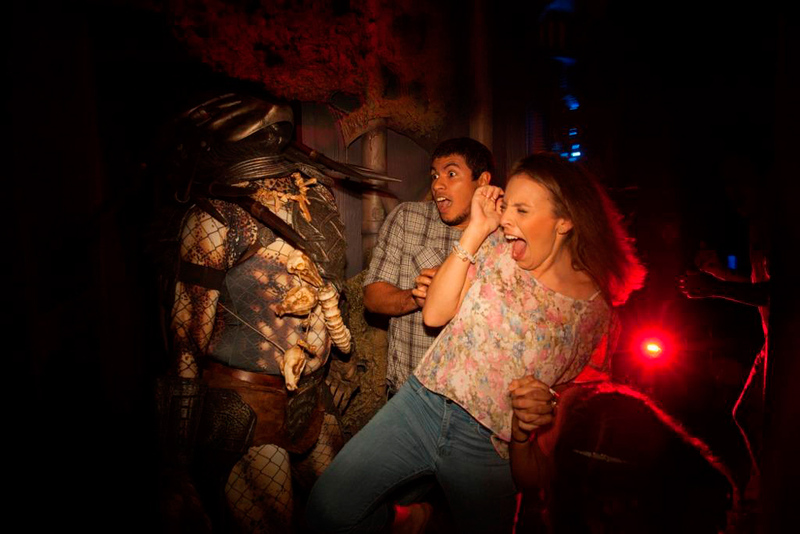 On that note, we were lucky enough to get a few amazing photos of terrorized guests at this year's Halloween Horror Nights. Come join us as we make snarky comments and act like we wouldn't be screaming even louder in their shoes. 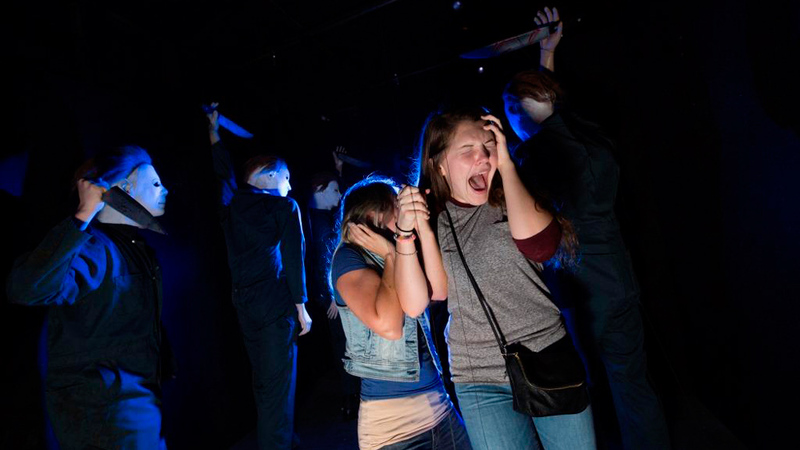 The audition process for hell's glee club is notoriously grueling. 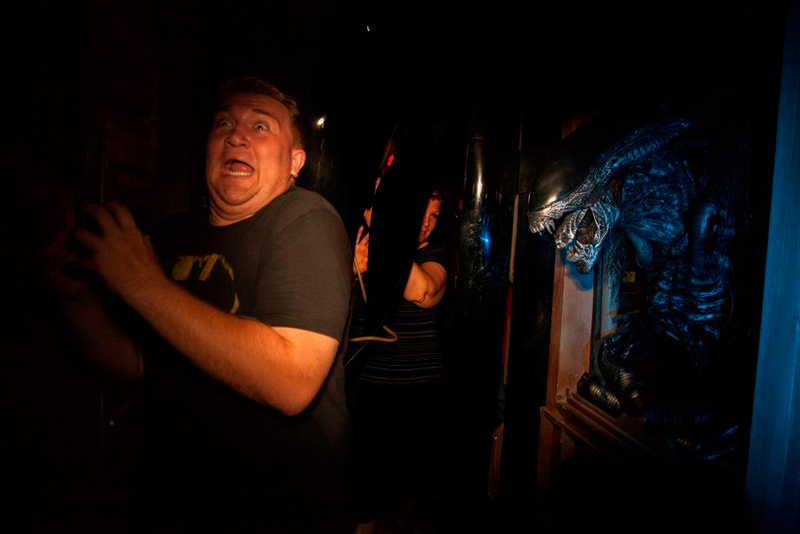 He made this same face when he found out Ben Affleck would be playing Batman. This is why there are so few clown lumberjacks. This guy is being way more chivalrous than we would be in this situation. AGGGGHHHH! I just remembered the third movie where instead of Michael Myers it was about possessed masks made with pieces of Stonehenge that turned kids' heads into piles of snakes. It was terrible! 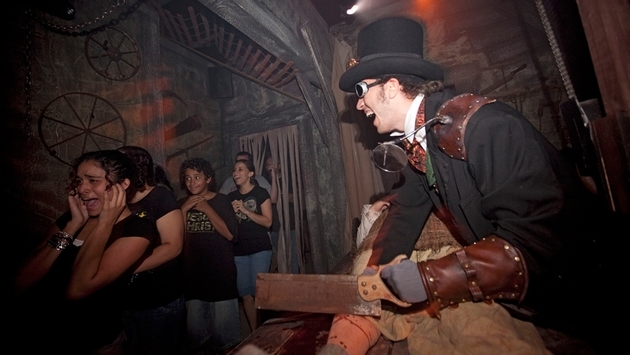 For more information about Universal Orlando’s Halloween Horror Nights, visit www.HalloweenHorrorNights.com/Orlando.